Elizabeth Mangenje is a Zimbabwean human rights lawyer who is passionate about women's rights and business and human rights. She is a legal advisor at the International Commission of Jurists (ICJ), Zimbabwe office. She writes in her personal capacity. Can a male-dominated legal industry achieve meaningful reforms for women? 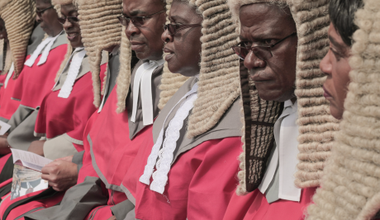 Despite shocking accounts of harassment and discrimination within their profession, women lawyers in Zimbabwe and beyond are fighting for more gender-sensitive laws.